Red Dead Redemption 2 is one of the games which can never be forgotten by gamers. It offers the best story one would have have ever experienced in a video game. Games like The Last of Us, God of War 4, Brothers a tale of two sons and some other titles were among my favorite list of game whose story mode left a mark on our hearts. These video games showed us that movies, tv series etc are not the only means in which a beautifully written story can be portrayed. 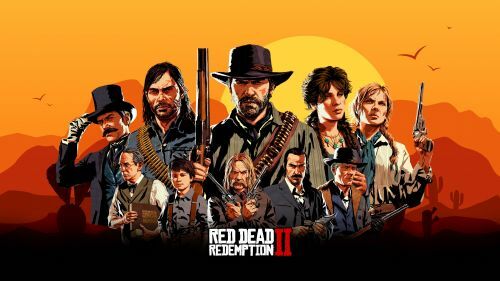 Previous year Red Dead Redemption 2 did get the Game of The Year title, though for gamers it was already a game of the decade with its realistic and high detailed graphics. Red Dead Redemption 2 has a rich and diverse open world which is full of surprises and which demands exploration. As previous titles like Grand Theft Auto 5, RDR 2 has a huge amount of random encounter and mysteries hidden out in the open world. Red Dead Redemption 2 cheat codes can be activated from the game menu to get some advantage over the situation and it can also be used as a means to have fun in the beautiful and huge open world. Some of the RDR 2 cheat codes are also hidden in the open world of and can be obtained by doing some small tasks like buying newspapers and other things. Note:- Enter the cheat as mentioned below, do not change anything or it might not work!